Some museums pack a punch. You walk away feeling "been there, done that" in real time. Frontier Texas is one of those. You feel as if you are listening to real people talking just to you when you experience an encounter with one of Frontier Texas's nine spirit guides. Spirit guides are not supernatural phenomena although they create an almost perfect likeness of a living, breathing person. 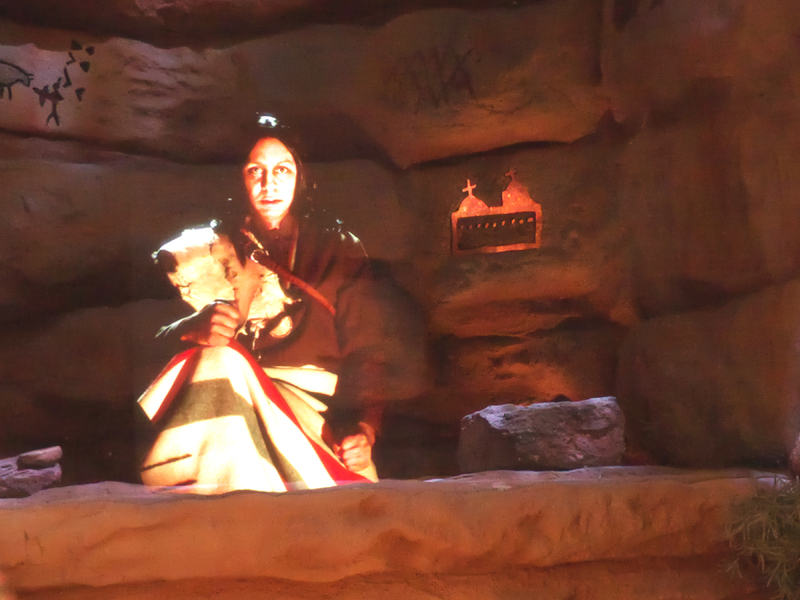 They are three-dimensional hologram images of several Native Americans, a former slave, a frontier soldier, a buffalo hunter, a cattle driver, a frontier woman running her boarding house, and Cynthia Ann Parker, the white mother of the last Comanche chief, Quanah Parker, that Frontier Texas uses to bring the era when Abilene was the frontier (1780-1880) vividly to life. It's also the official visitor center for Abilene and the Texas Forts Trail Region. 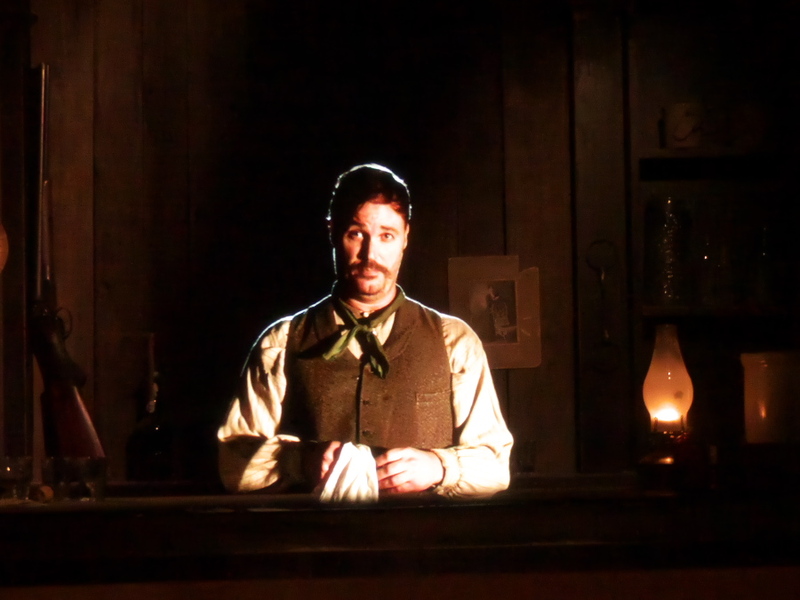 Your introduction to Frontier Texas is by way of a short film narrated by Buck Taylor in the Blood and Treasure Theater. Those of you of a certain age may remember him best as Deputy Newly O'Brien on Gunsmoke. The 12 minute film chronicle much of the gun smoke that caused the blood shed in search of treasures of many different sorts in Frontier Texas. 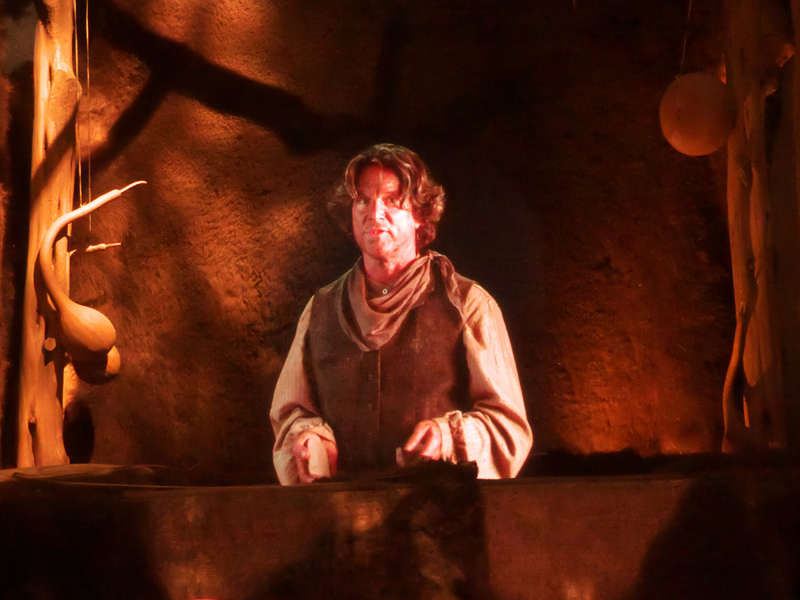 You step into the past in the Wild Land section. Here you discover the land many people died trying to tame. Mammoth and bison led prehistoric peoples here to hunt and settle. For some the land itself was a treasure to be saved at any cost. Meet Satanta, a fierce Kiowa chief who tried to preserving his people's way of life and stop the encroachment of the "whites" in the Comanche Empire Exhibit. He looks you in the eye and tells you it was said of him "That I killed more whites than any other Indian on the frontier." He finishes his dialogue with the words, "I hope that was true." Another spirit guide, Comanche Chief Esihabitu also known as Asa Harvey, tells you how he tried to protect his people by keeping the peace. Cynthia Anne Parker is a spirit guide who gives a different prospective on Commanche life. She was captured and raised by the Commanche and was the mother of the last great Comanche chief, Quanah Parker. She tells of the philosophy of the Comanche. "They only killed the buffalo when they needed to for food or shelter never sport." She was eventually recaptured by the soldiers and returned to live as a white. She never adjusted and tried repeatedly to return to the Comanche. But peace was not to be on the Texas frontier. 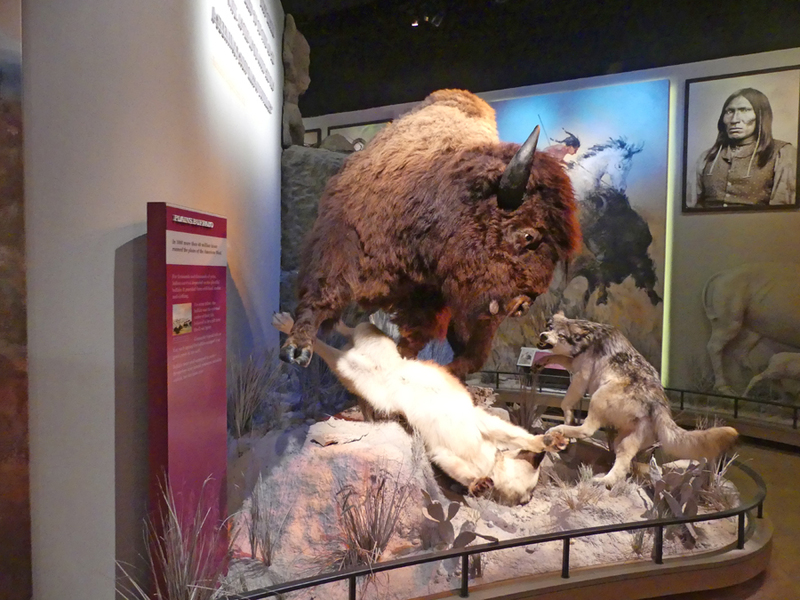 One treasure some sought there were the rich rewards of buffalo hunting. The Buffalo Hide Trade room tells that story. 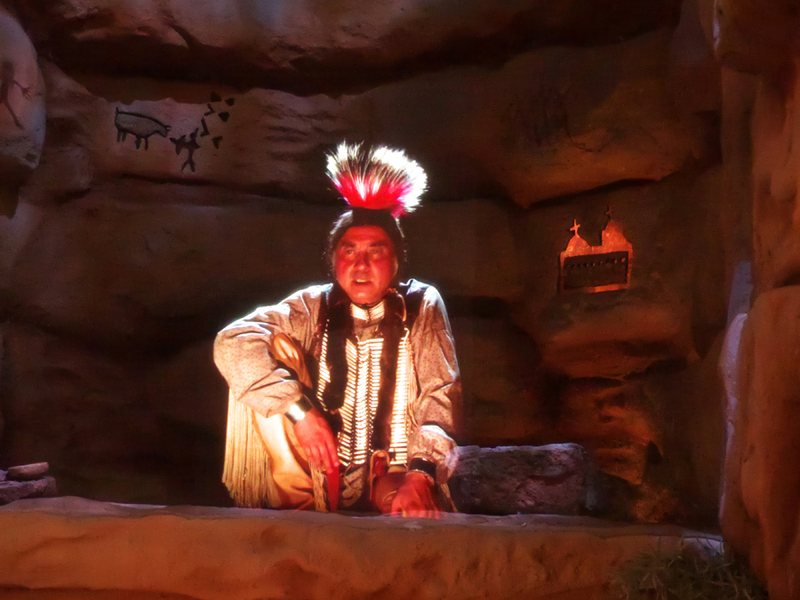 Spirit Guide J. Wright Mooar was one who saw a fortune to be made in buffalo hunting. He tells of how he got into the buffalo hunting business and of killing over 20,000 buffalo during his life. 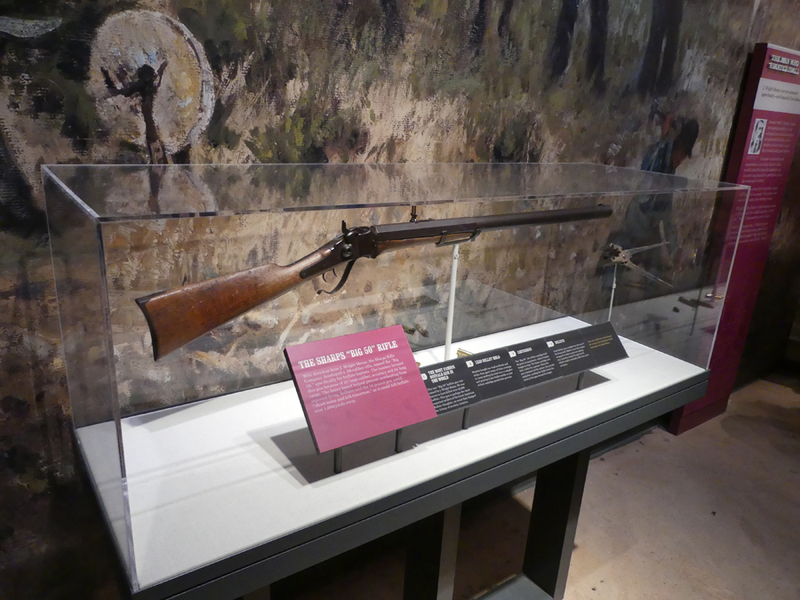 The Guns of the West exhibit shows the rifles and handguns and their development over the years of frontier settlement. Don't miss seeing the Sharps "Big Fifty" that belonged to Mooar and is believed to have killed more than 20,000 Texas buffalo. 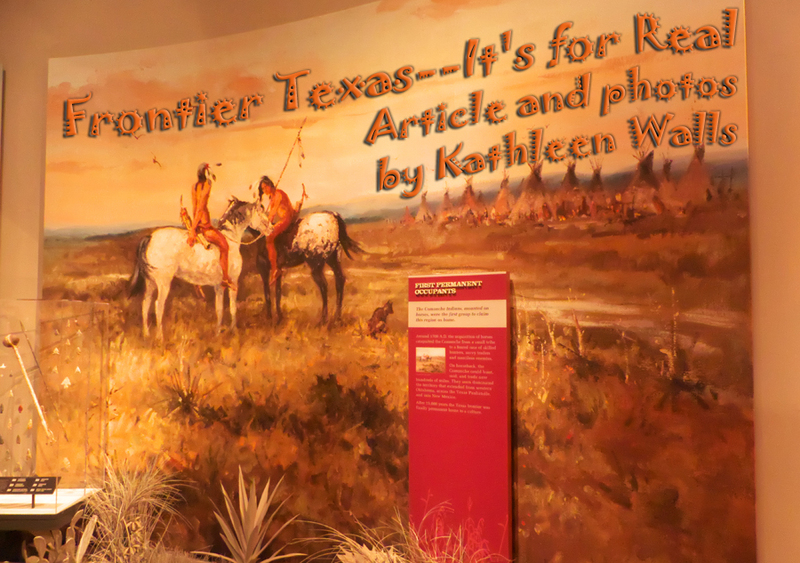 The next exhibit room, Military on the Frontier, tells of the military presence in Texas. General Randolph Barnes Marcy tells about their role. The buffalo in Texas were protected for the Native Americans by treaty but the army chose to close their eyes to the widespread hunting of the buffalo. The Indians needed the buffalo and if the buffalo disappeared, it was a way to banish the Indians to the reservations and open more land for settlers. Barnes was one of the trailblazers who helped map the West. As settlers poured into the frontier, cattle ranching became a way of life. Spirit Guide George Thomas Reynolds was one of the cowhands on the first cattle drive on the Goodnight-Loving Trail. The Cowboys and Longhorns Exhibit is filled with the artifacts of the cattle ranching business. You'll meet Pat Garrett here too. He worked as both a buffalo hunter and a cattleman on the Texas frontier. As the population grew settlement s sprang up around the forts. Stagecoach companies such as Butterfield Overland Stage began routes to these settlements. 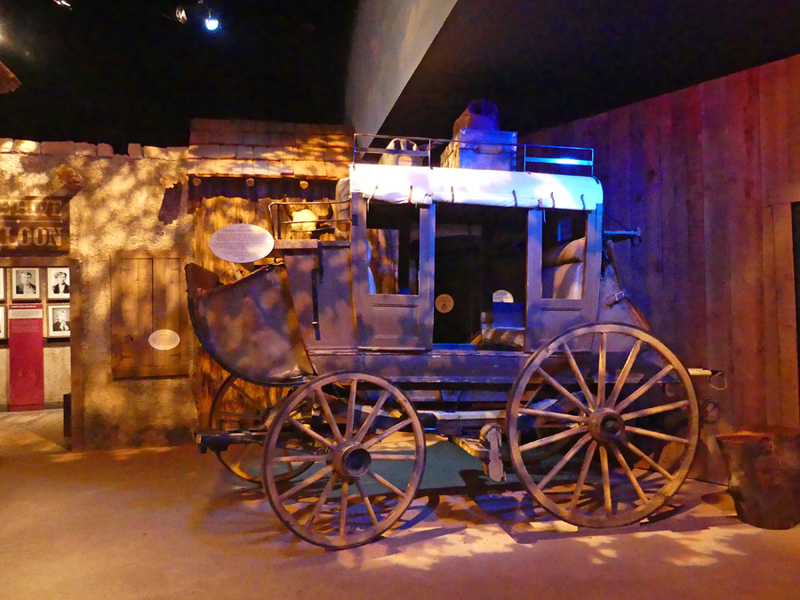 One of the exhibits in Frontier Settlements shows the importance of the stagecoach to development of towns. One of the Spirit Guides Brit Johnson, a black man who came to frontier Texas as a slave of Moses Johnson, one of Stephen F. Austin's 300, tells of the friction the advancing wave of whites caused with the Comanche. 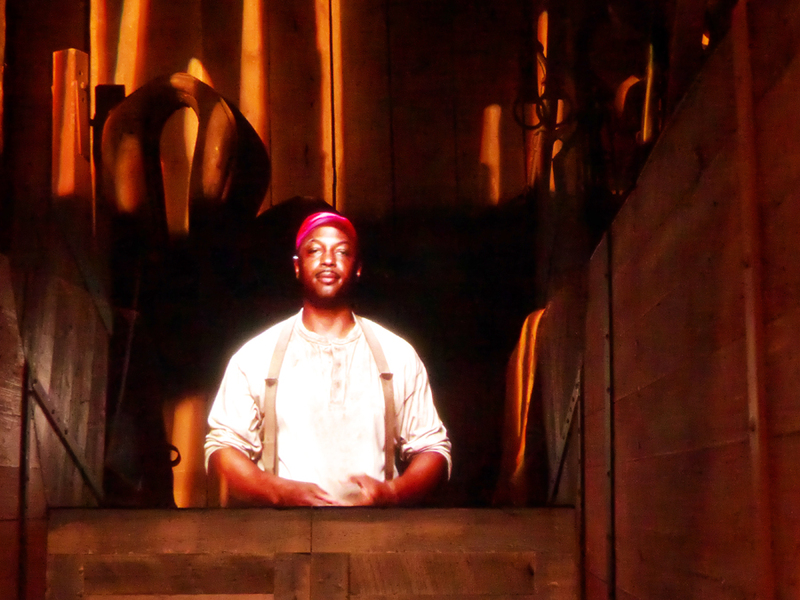 Brit Johnson tells how he rescued his family and other settlers. Brit held the trusted position of ranch foreman for Moses. On October 13, 1864, Brit had accompanied the white ranchers into Weatherford for winter supplies. While the men were gone, a band of Indians swooped down on the Elm Creek settlement and killed some of the women and children and took many others captive. Brit's wife and two daughters were among the captured. With assistance from Moses, Brit went after his family and the other captives. He eventually recovered his family and every captive except Millie Durgan. He tells how he eventually set up his own successful freight business. Another Spirit Guide Elizabeth Carter Clifton was one of those captured and later rescued. 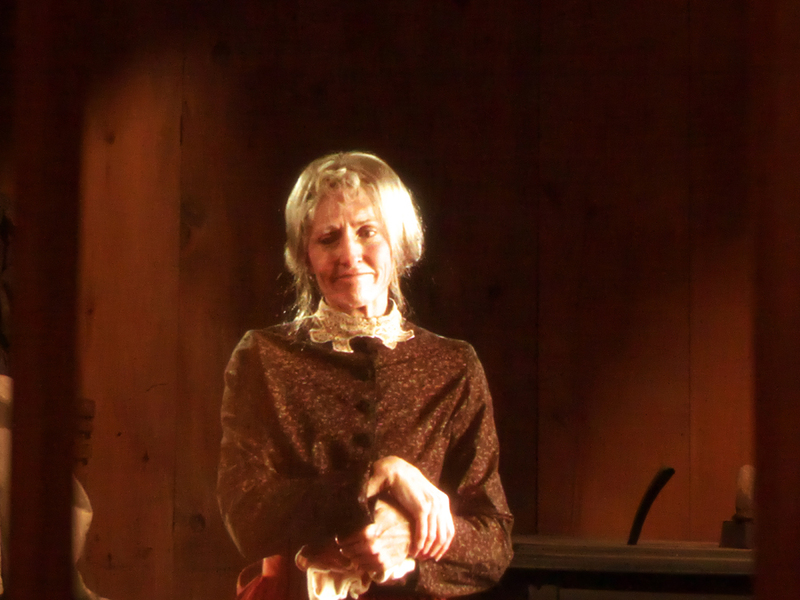 She tells her tale of how hard life was on the Texas Frontier. She tells of losing four husbands to "Indians or outlaws" and running a boarding house on the frontier. Before you leave the museum, step into the Theater in the Round where you are given 360-degree view of life on the Texas Frontier including being in the midst of a stampeding cattle herd, facing a raging storm, and witnessing frontier battles occurring before your eyes. It is quite a show. 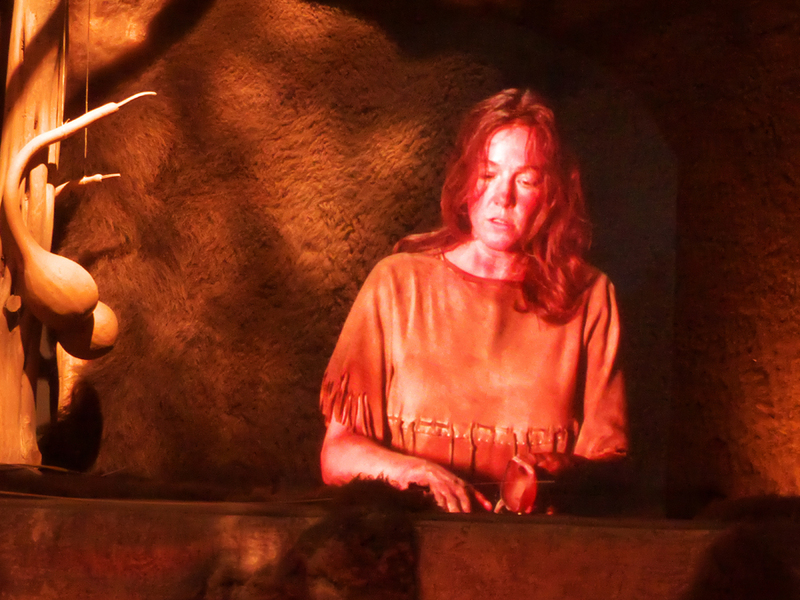 The genuine artifacts, replicas of life-sized wildlife, huge murals depicting frontier life and artfully staged exhibits, but what make Frontier Texas a museum you should not miss is the thrill of being able to hear conversations from long ago with what appears to be a living legend from that era.